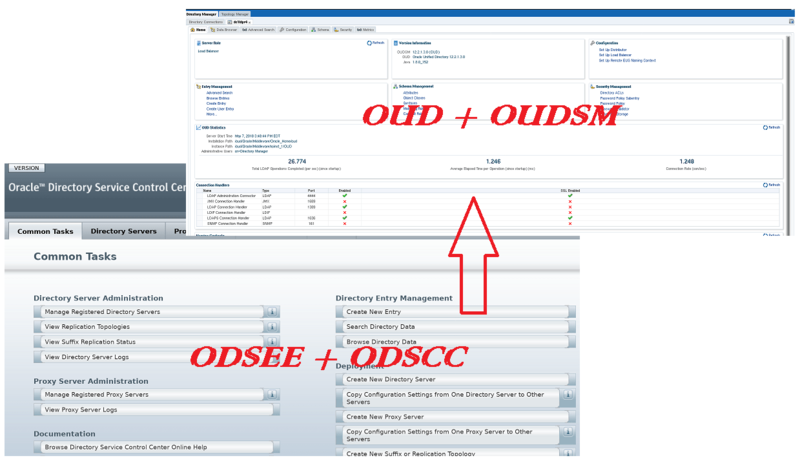 Below is a continuation on how to migrate ODSEE, ISW To OUD and DIP. you can access Part 1 here. Since the migration is quite complex, I am splitting the configuration into separate parts. 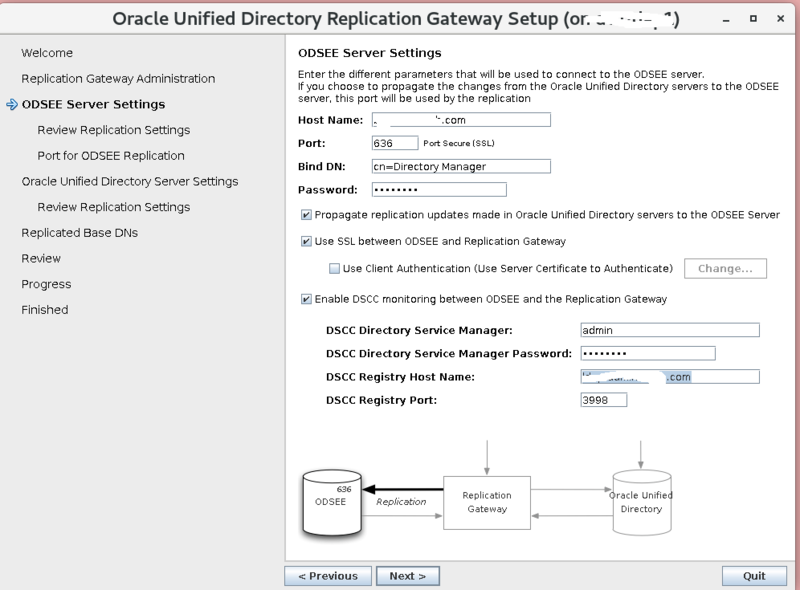 Part 2: Configuring OUD, Install and configure OUD Gateway (ODSEE replication) and required changes. 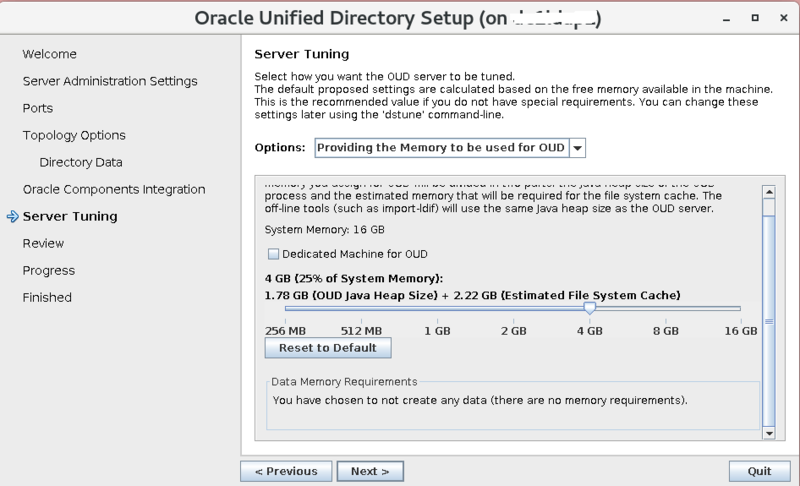 Part 3: Install, Configure WLS, OID, OUD required for DIP Instance. 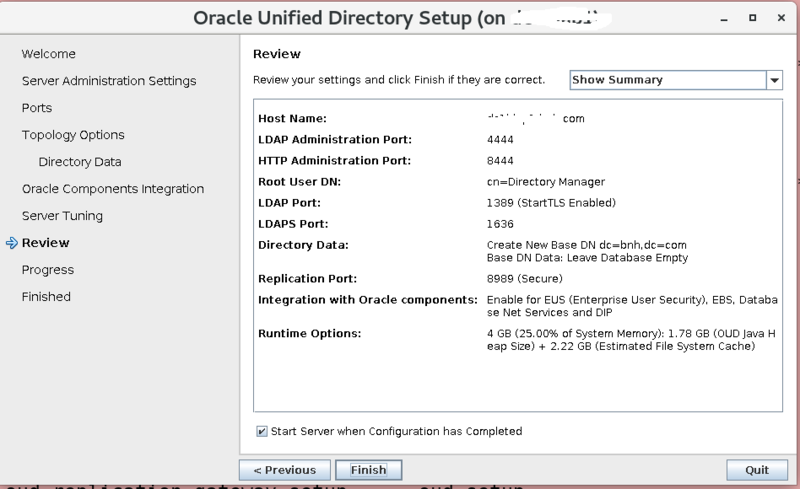 Part 4: Configure WLS And DIP instance. 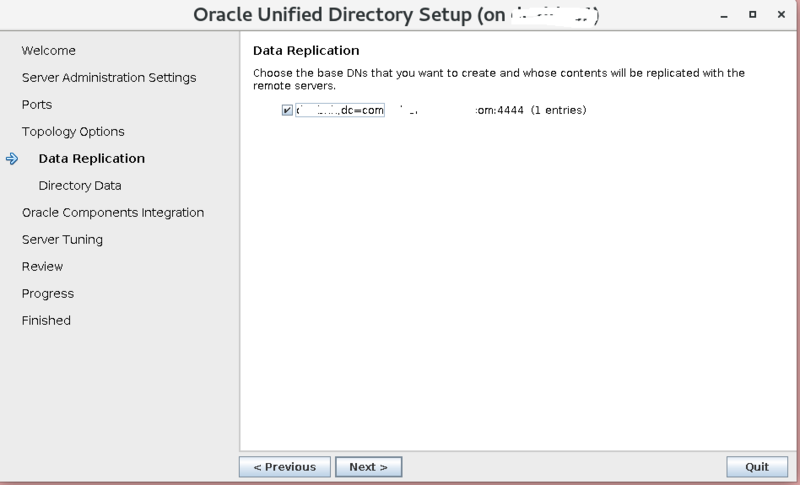 Part 5: Configure ISW => DIP migration, configure OUD <=> AD mappings. This is part 2, Configuring OUD, Install and configure OUD Gateway. To install and configure and OUD instance, just run the below. 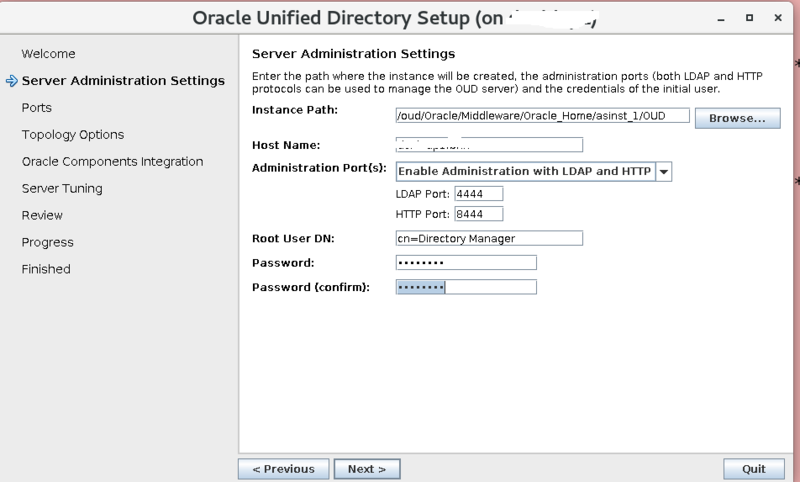 Select: ldap and http for the new reset API interface. 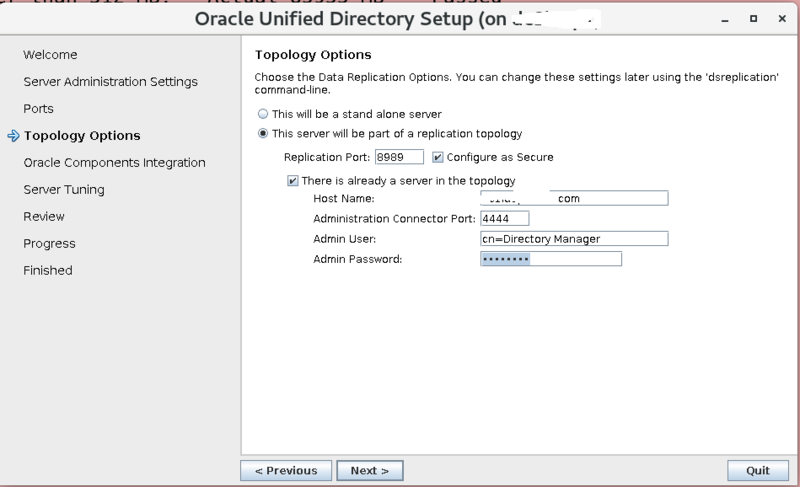 On the first OUD instance configure replication user/port and create a replication password. 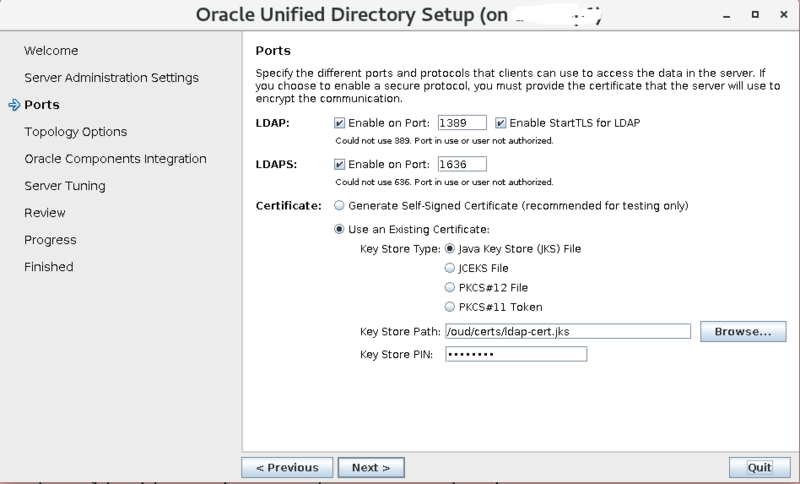 Tip: On all additional OUD instance(s), select to join the existing replication, specify any other existing instance to join then accept the certificate. 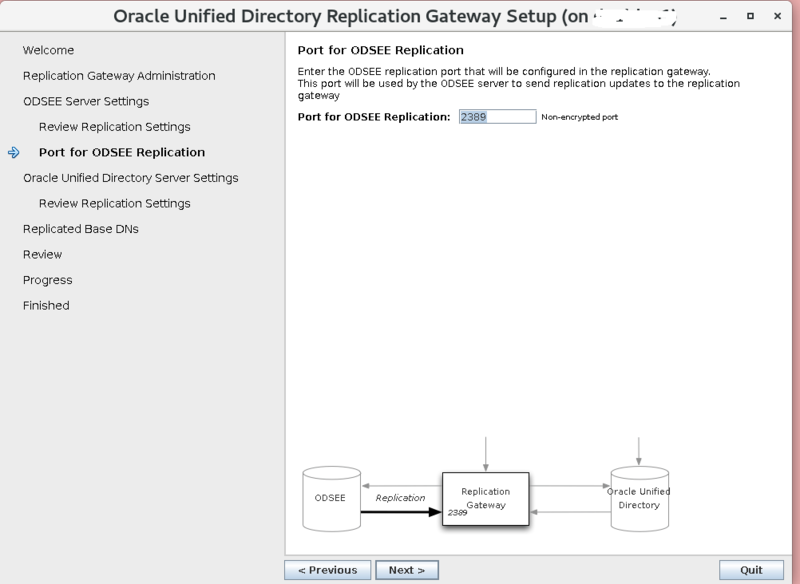 Note: Do not configure any additional OUD instances yet, we first need to configure the replication gateway as outlined below. 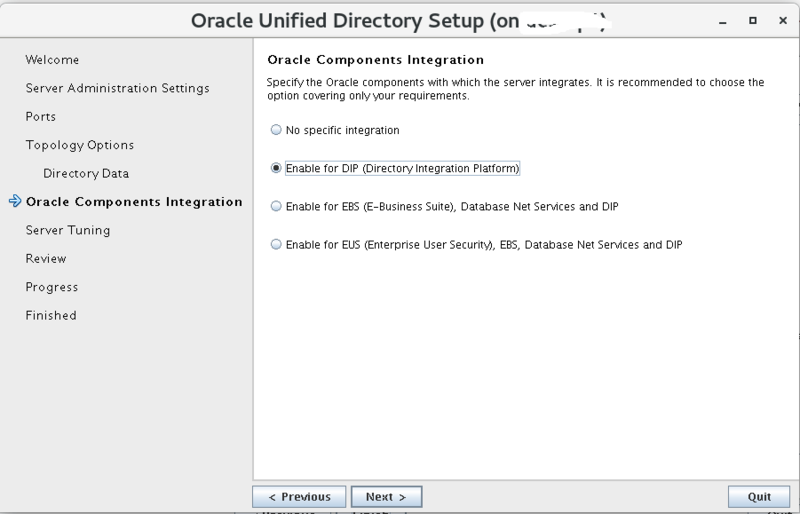 Set the below configuration, this might be required for your ODSEE instances. Run on all OUD instances (after installed). Note: This settings are not replicated and need to be set on each instance separately. 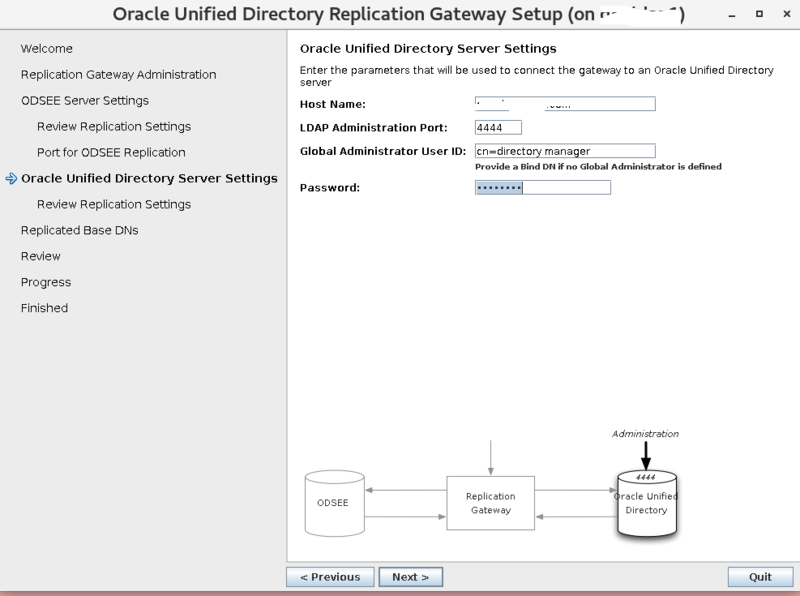 We are now ready to start configuring the OUD replication gateway, you do so by running the below. OUD => ODSEE (if you like two way updates. 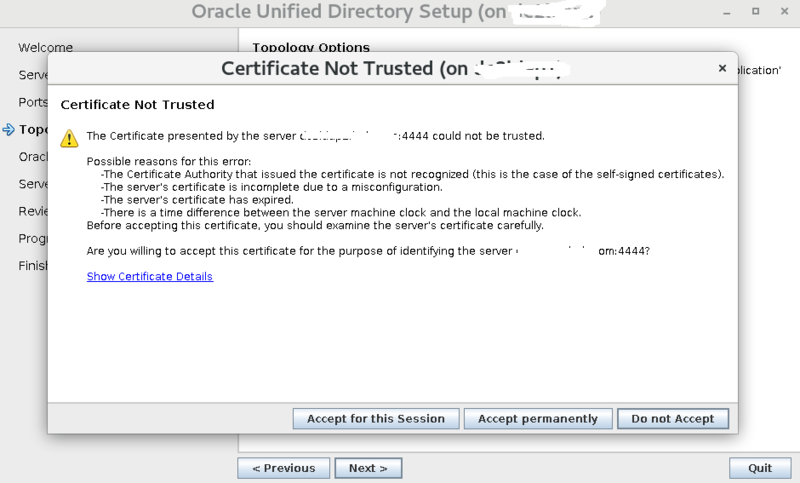 Note: I had issues using/setting SSL from OUD => ODSEE as it wasn’t working with any certificates I tested. OUD Gateway setup screen captures are below. Next, get a one time export from your ODSEE instance. Note: You OUD instance path’s are asinst_1/.. and asinst_2 is the OUD reapplication gateway instance. Next, we need a one time import of all data from ODSEE => OUD, you do so by running the below. Note: Use the odsee dsee_export.ldif export file from above. Next, run the post-external-initialization on the gateway. Lastly, (optional)you might wont to rebuild index(s), do so by running the below. # If the above is not working, you can try the below (you will have to stop the instance to do so. Enable un-index search’s with dsconfig. Select > unindexed-search and proxy-authid. To fix the error issue / below – make sure to edit ACI in OUDSM (or by commend line). 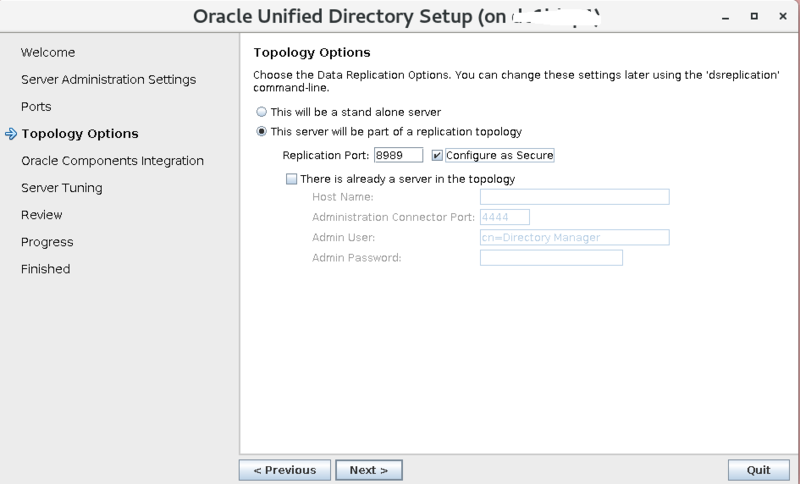 Note: Fix the above error/issue by changing on each directory as ACI’s are not reduplicated. After the First OUD instance is working and populated with all ODSEE data, and OUD replication gateway is up and working. Next, complete the installation of all other OUD instances, by running the same steps outlined above for the OUD instance. 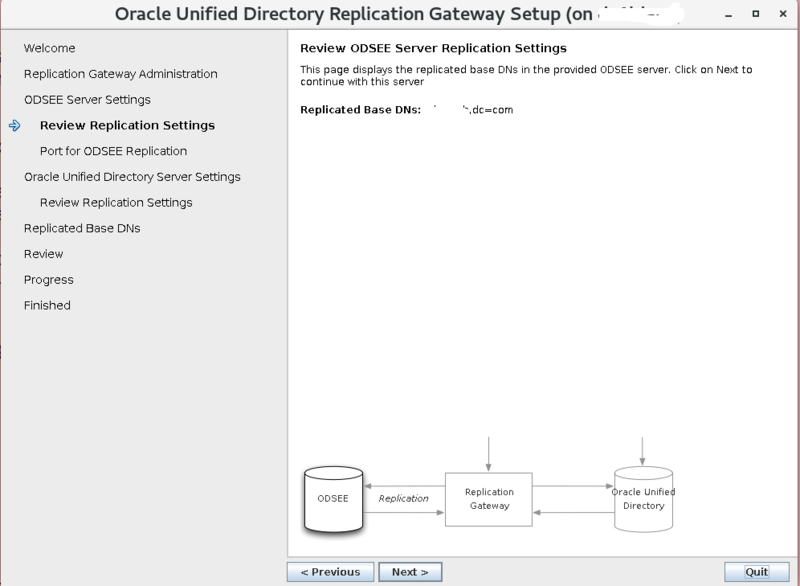 Note: Only install/run the OUD instance and join the first instance with replication. 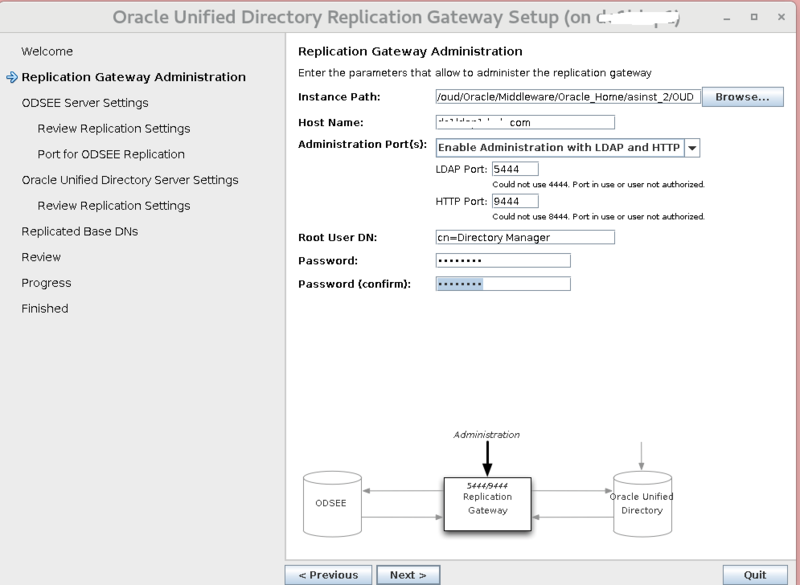 there is no need to configure another replication gateway unless you would like to have another instance for HA. Also, on all other OUD instances you might need to create manually the VLV Index(s) and regular index’s, you can do so by running the below. Note: This is usually only needed if you have native LDAP (solaris/linux). You can get the full index and VLV-index script from here. Tip: To uninstall an instance run the below. In the article we have completed the OUD configuration. 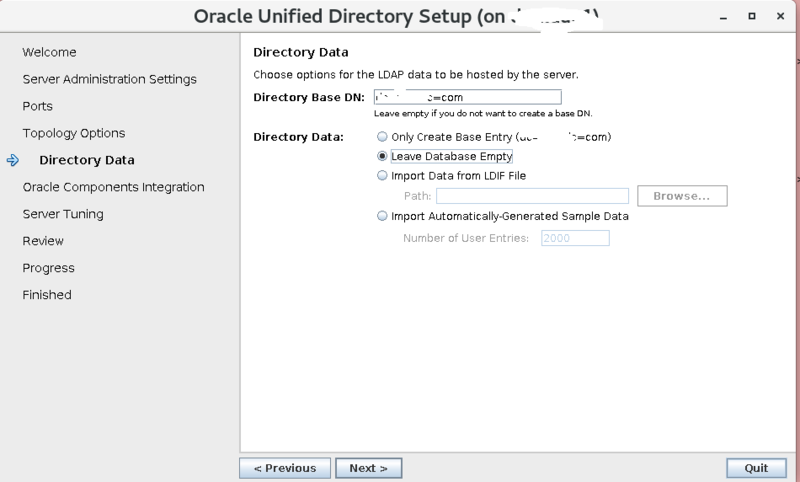 In Part 3 I am going to show you – how to Install, Configure WLS, OID, OUD required for DIP Instance. To continue reading Part 3 click here.